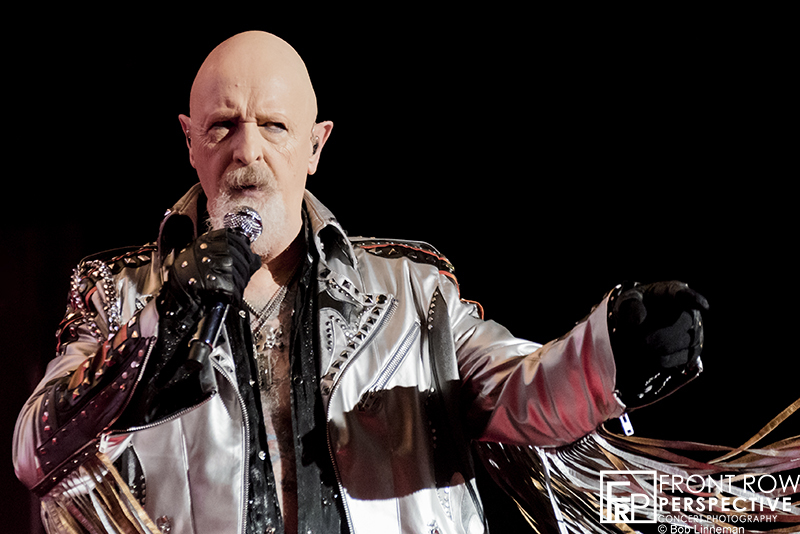 It’s not what you think! 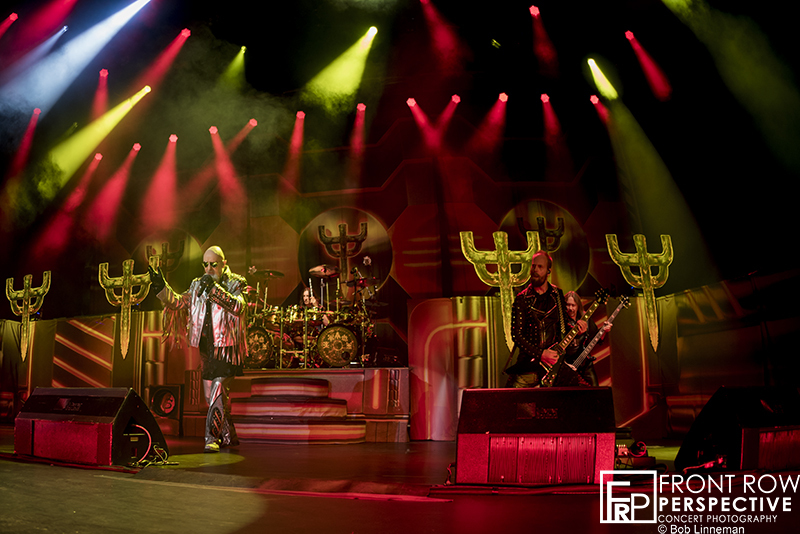 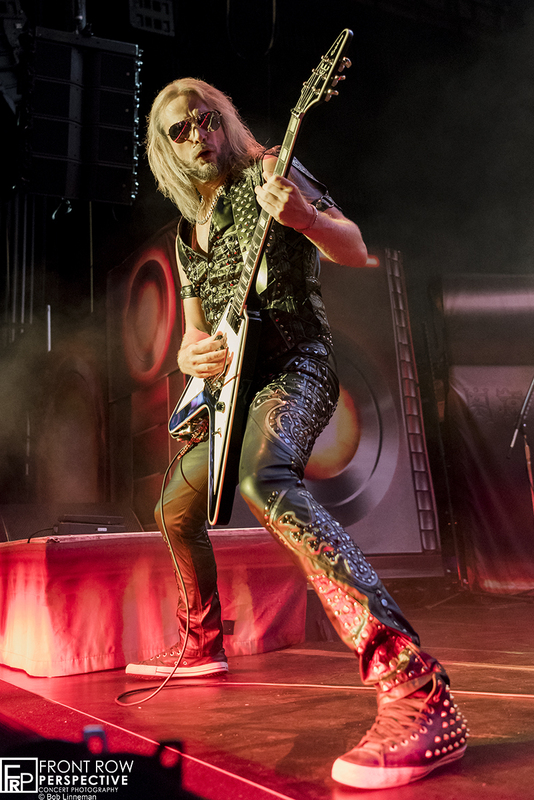 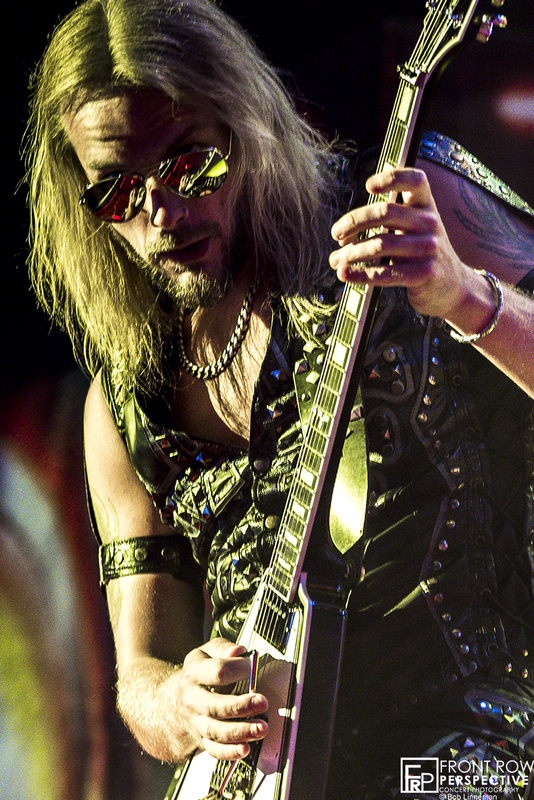 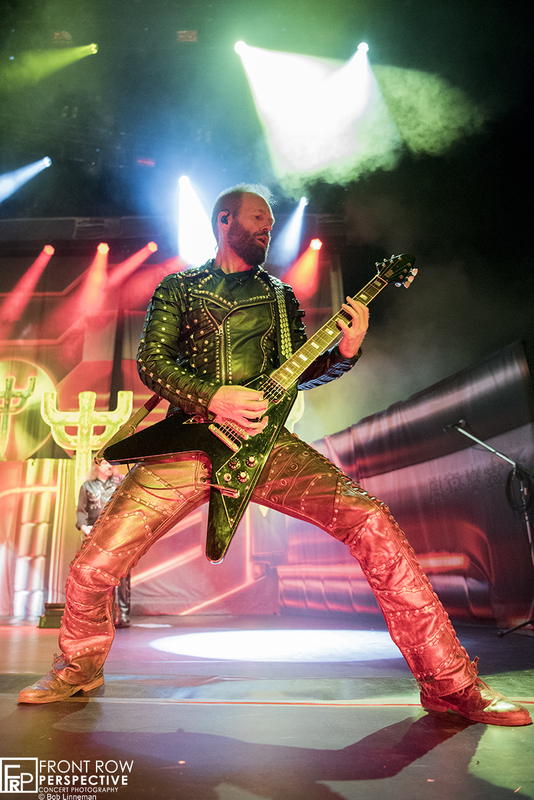 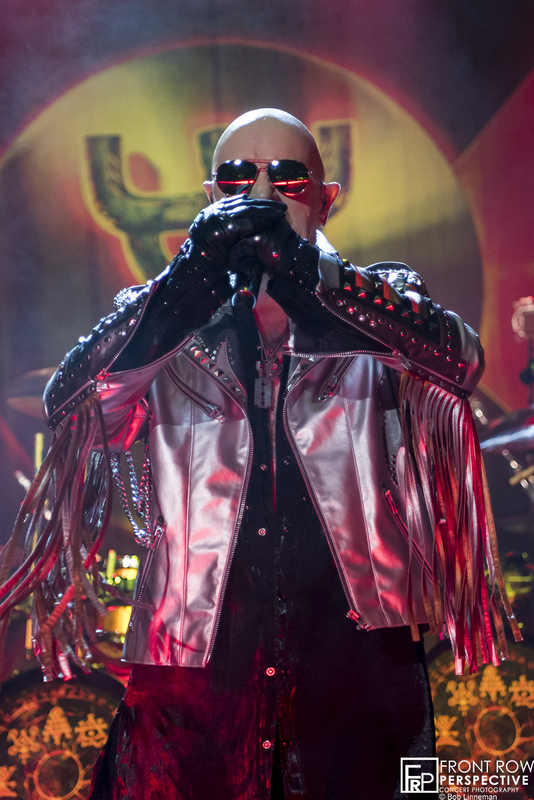 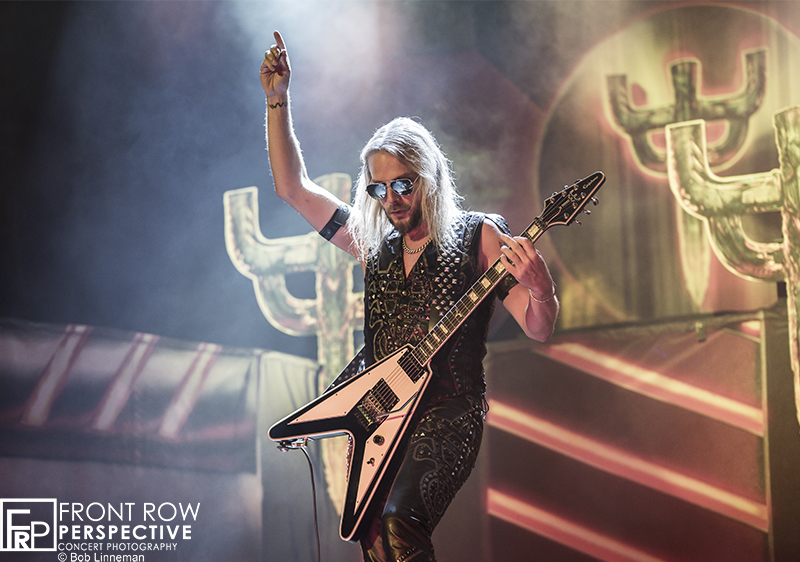 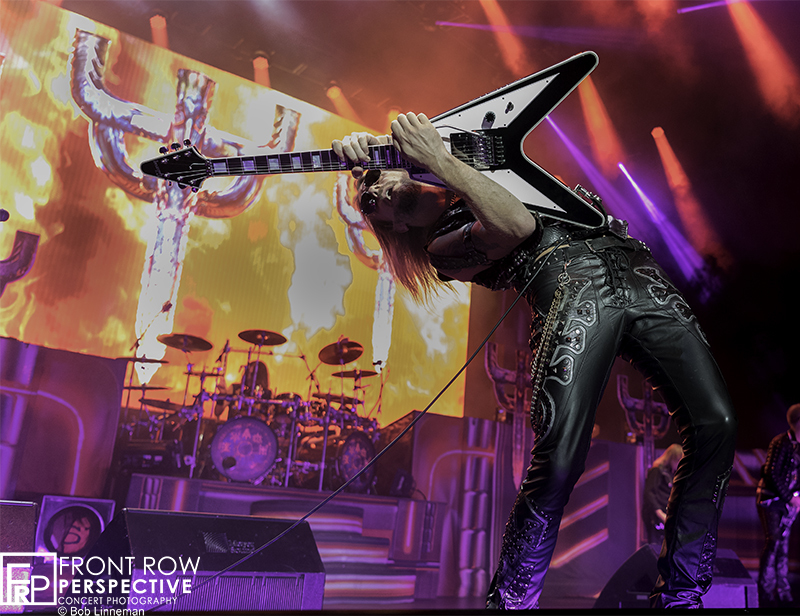 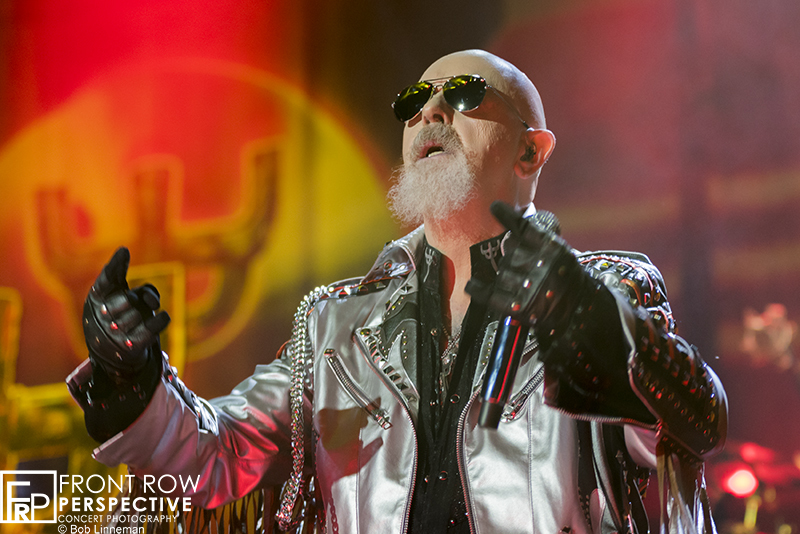 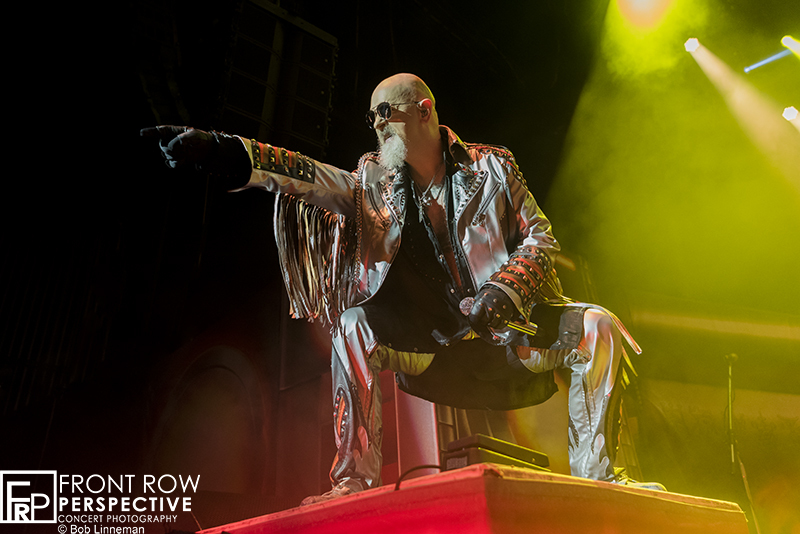 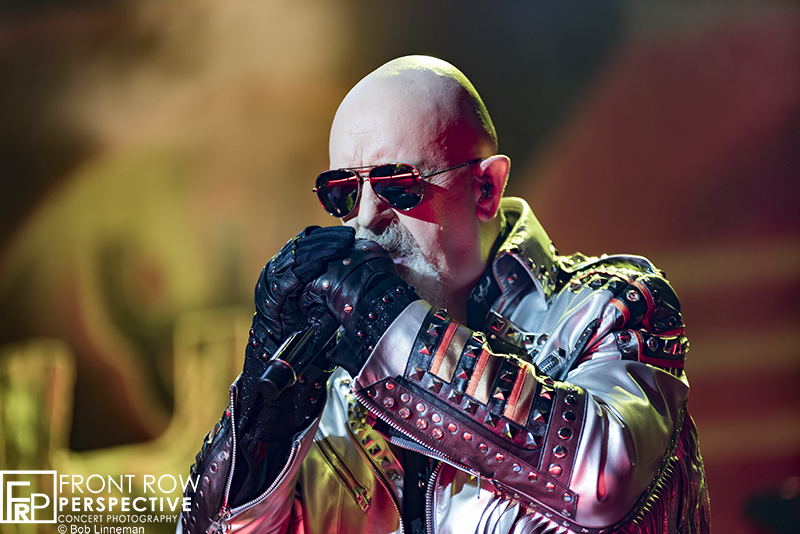 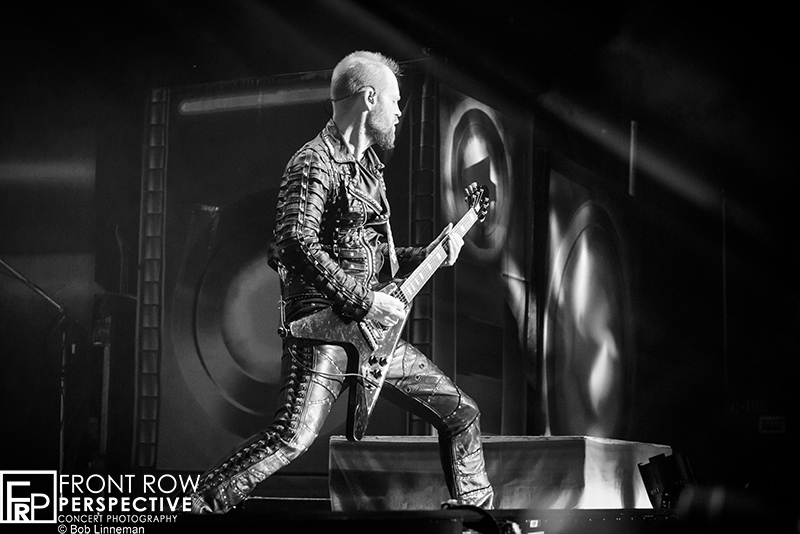 Judas Priest brought the Heavy Metal Firepower to the lucky fans at the BB&T Center in Camden, NJ. 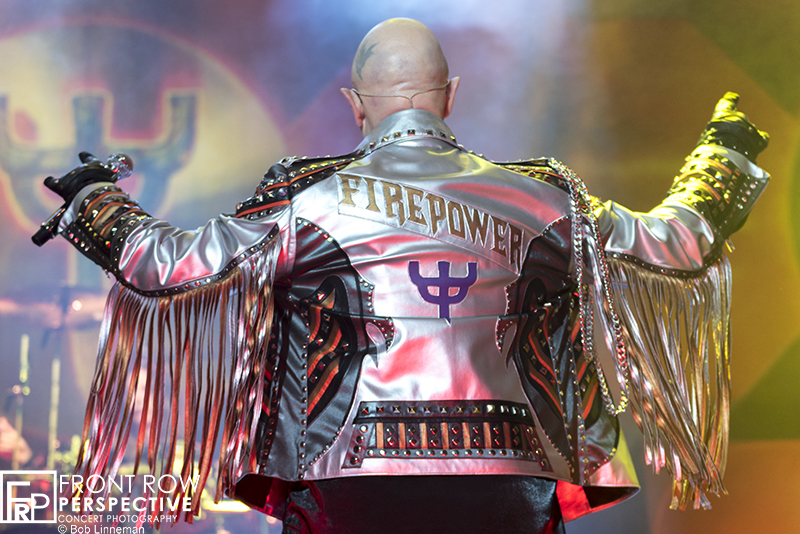 Touring behind their new release “Firepower”, the stage resembled a theatrical production. 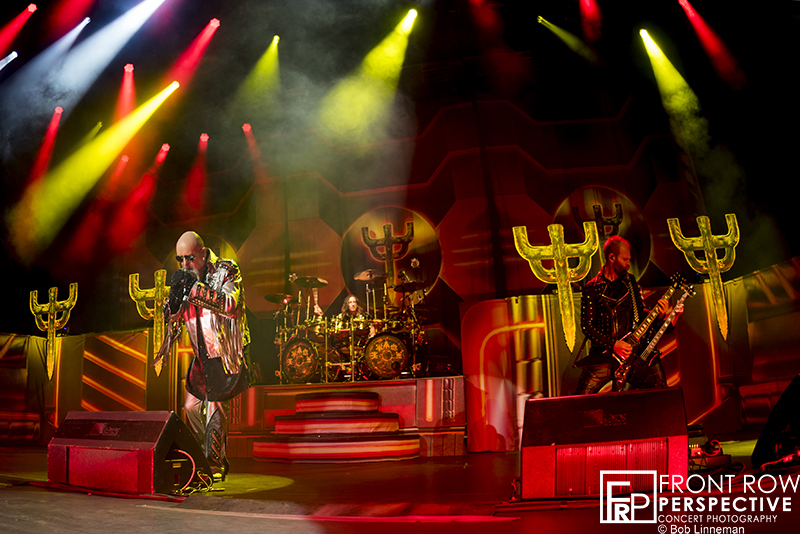 As the massive curtain dropped, to reveal a throne to the drum risers as symbolic statues were symmetrically positioned across the stage. 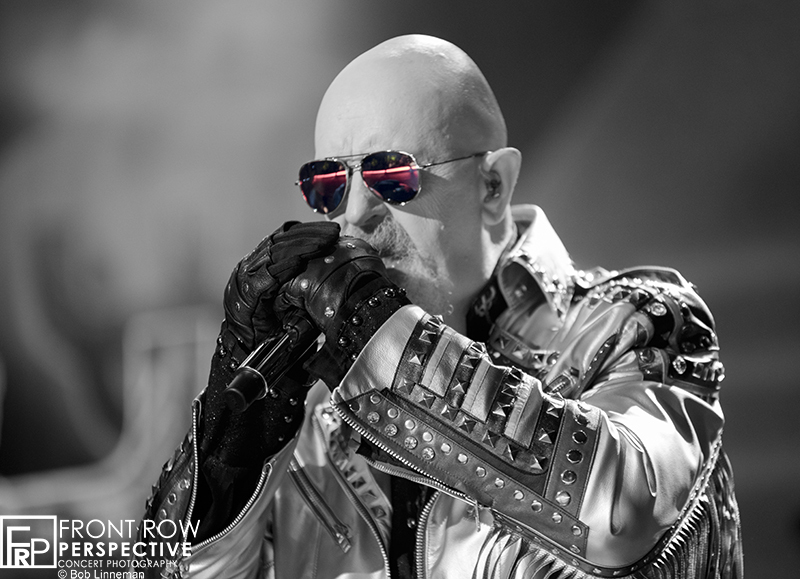 Rob Halford who resembled a title off the new album, “Necromancer” with mirrored shades, a white goatee, and bald head, he looked like a modern-day Merlin. 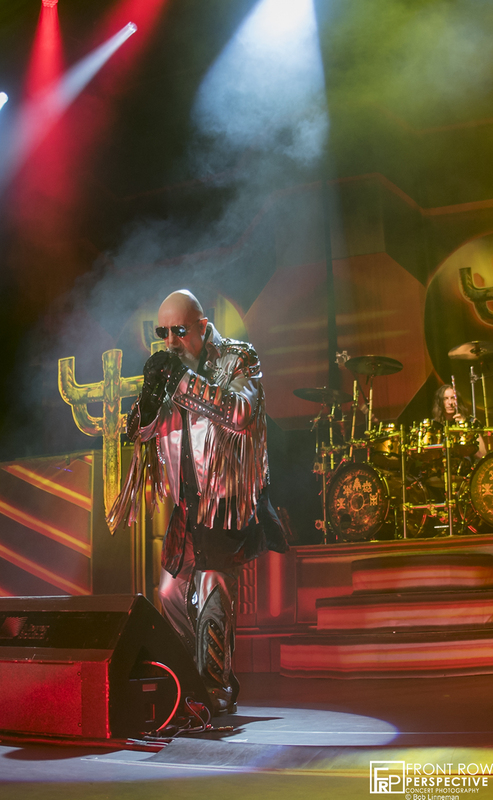 The set list included many songs from their new release such as Lightning Strike, Rising From Ruins, and No Surrender. 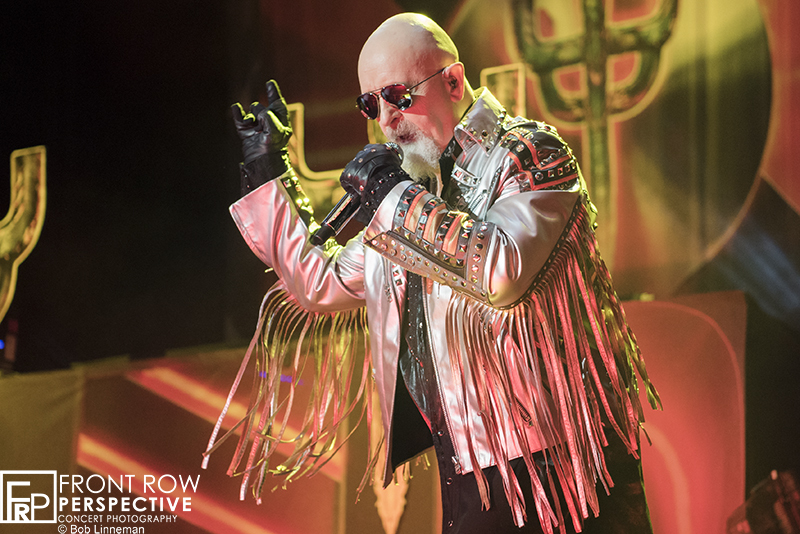 The night included the hits from their massive catalog; You’ve Got Another Thing Comin’, Hell Bent for Leather, Painkiller, Metal Gods, Breaking the Law, and Living After Midnight. 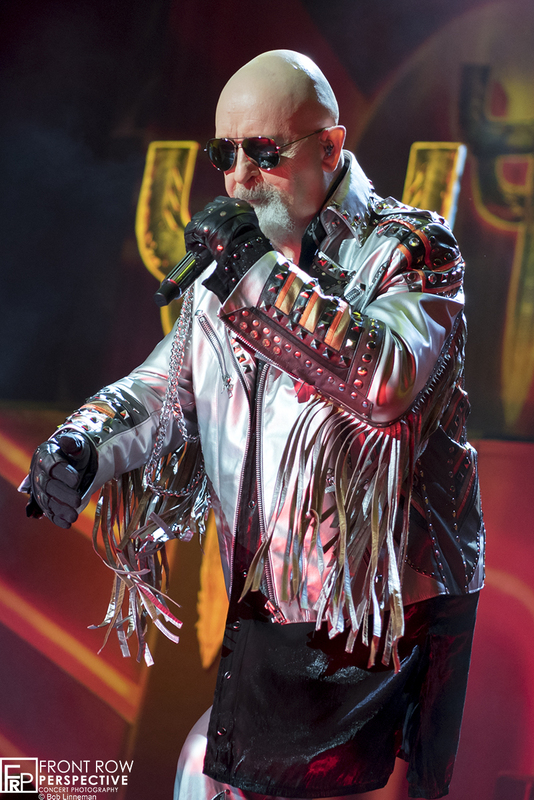 Some highlights from the set was when the band played a video tribute to Glenn Tipton who couldn’t make the tour due to Parkinsons Disease, and Rob dressed in complete black leather rode a custom “Firepower” Harley Davison before jumping right into Hell Bent For Leather. 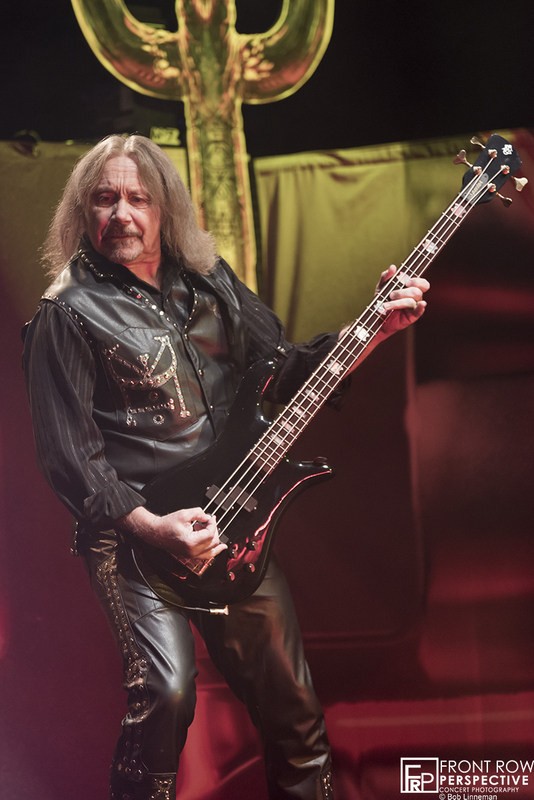 The tour includes another massively famous band, Deep Purple, and new comer The Temperance Movement. 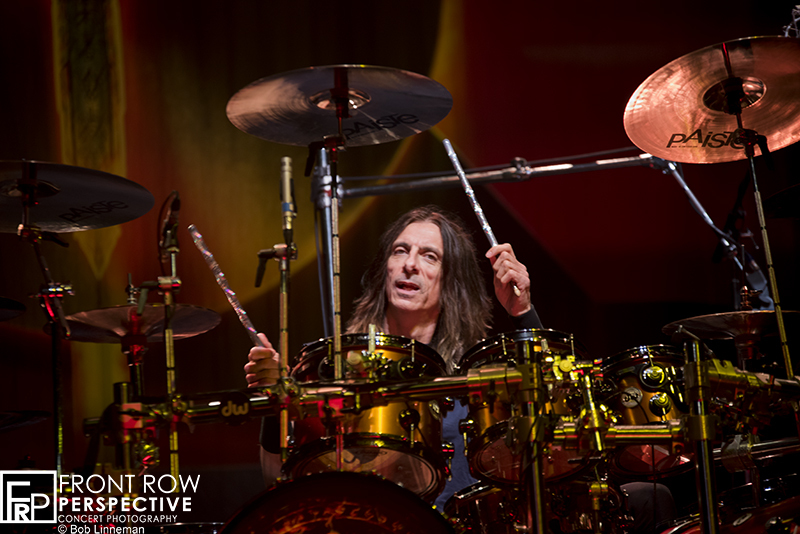 The tour continues through the US, Japan, South America, and Europe until Spring of 2019.